With more than 30 years experience, Dynasty Glass & Mirror, LLC can provide expert glass service to the Sarasota, Bradenton, and southern Hillsborough counties. Whether you need a shower door, vanity mirror or glass replacement, we can provide you high-quality service at a reasonable price. 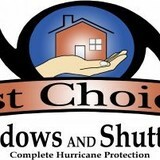 We do both residential and commercial work, and we offer free estimates and guaranteed quality workmanship. CUSTOM ENTRY & INTERIOR DOORS, KITCHEN & BATH ROOM CABINETRY, WALL PANELING & CEILING BEAMS, MOULDING & RE-FINISHING SERVICES, HARDWARE & GLASS. F.H.W. is Your Home for Custom Wood Doors In Sarasota. We Offer Raw or Turn Key Packages for Front Entryways, Interior, Exterior, Glass, & Impact Rated Doors. italianinteriors is your exclusive partner in selecting, delivering and installing the finest interior designs directly from manufacturers in Italy. We also supply and install made-to-measure interiors, furniture and accessories from our own production facilities in Italy. 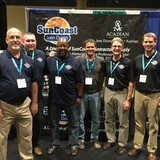 We have a showroom in both Sarasota, FL and Naples FL. Origin are an award-winning specialist manufacturer of custom aluminum bi-fold doors. Origin combine high grade aluminum with precision engineering to provide a high quality, functional, and stylish bi-folding door which is built to last. The Origin Door has been engineered to such high standards that it is one of the select few doors of its kind to pass Florida's rigorous High Velocity Hurricane Zone testing standards without sacrificing thermal performance, offering protection from extreme pressure, wind and water conditions as well as wind-propelled debris - all while keeping energy costs down. FrenchDoorsScreens.com offers custom built Retractable Insect Screens to fit virtually any size opening in need of a screen. We are located in Sarasota, FL and ship anywhere in the US and Canada. Screens are made with a unique, pleated mesh specially designed to keep out unwanted pests like flies, mosquitoes, and no-seeums. The frame is made of non-corrosive parts that will hold up to the elements. Screens are easy to install, clean, and store if needed. We offer a variety of standard sizes for easy online ordering or call for custom sizes and colors. 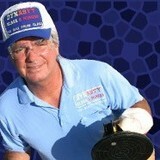 Professional installation is available in the Sarasota/Bradenton area. Well get you rolling again! What kind of services do Rotonda West door dealers provide? Door dealers are responsible for a variety of services, including door installation, replacement, door repair and custom door design. If you need a new door, Rotonda West, FL door dealers will help you determine what kind you need, as well as shape, color, size and more. From barn doors to French doors to front doors, these professionals can help you choose, install and maintain your door investments. Wood doors are beautiful, versatile and tend to be the most popular choice for both interior and exterior doors; they are easy to custom build, and include oak, cherry, walnut, mahogany, maple, fir and pine. Some standard wood doors have MDF cores wrapped in wood veneers, which minimizes the chances of warping as real wood expands when wet and contracts when dry. If your heart is set on a wood door but you think the Rotonda West, FL climate might cause it to warp, talk to your door professional about a furniture-grade veneered door. Aluminum doors have an insulated core and come in a variety of colors and finishes. With a baked-on enamel finish, they won’t rust or need repainting, and many come with a 20-year warranty. Next to wood they are the most expensive and have to be custom-made. A Rotonda West, FL door dealer can help you find a reputable aluminum door manufacturer. Find door dealers and installers in Rotonda West, FL on Houzz. Look in the Professionals section of our website and search for Rotonda West, FL door dealers and installers. Read reviews, look at project photos and see how a pro can help with your home improvement project.